Here we have a projector that serves as a fantastic example of top-notch technology without the price tag to go with it. Equipped with the newest "Crystal Clear Fine" D7 3LCD chip the Espon Powerlite Home Cinema 6500UB pushes the envelope in home theater entertainment. This projector is capable of displaying full 1920 x 1080 HD resolution and comes with a very impressive 75000:1 contrast ratio. It also comes with a 4000 hour rated lamp capable of outputting 1600 lumens of color and white light and comes with a built-in HQV processor. Another interesting aspect about this projector is that it has been fitted with a Cinema Filter and a state of the art Fujinon lens for improved color accuracy, sharp pictures, and an auto iris function for optimum speed and quality. Whether you plan on watching movies, sports, or playing video games this 1080p projector is sure to deliver on performance and bring a truly unique cinematic experience to your home. One of the most appealing aspects about this projector is the $3000 price tag. 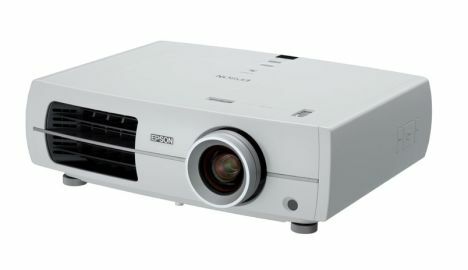 For comparison purposes, just last year Epson released a 1080p PowerLite Home Cinema projector which featured only 1200 lumens and a 12000:1 contrast ratio and came with the exact same price tag as the 6500UB.